Over the last few months I've been thinking of going camping with TJ and I finally bit the bullet. I looked at a few different campsites but ended up choosing one that wasn't to far from home in case our first camping trip went wrong. 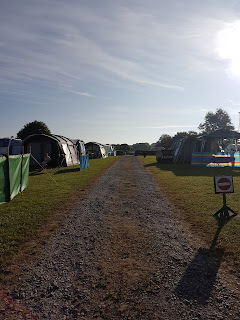 I booked via the official camping and caravaning site which was easier then I thought. When I packed the car I just put in the basics of everything in the car. 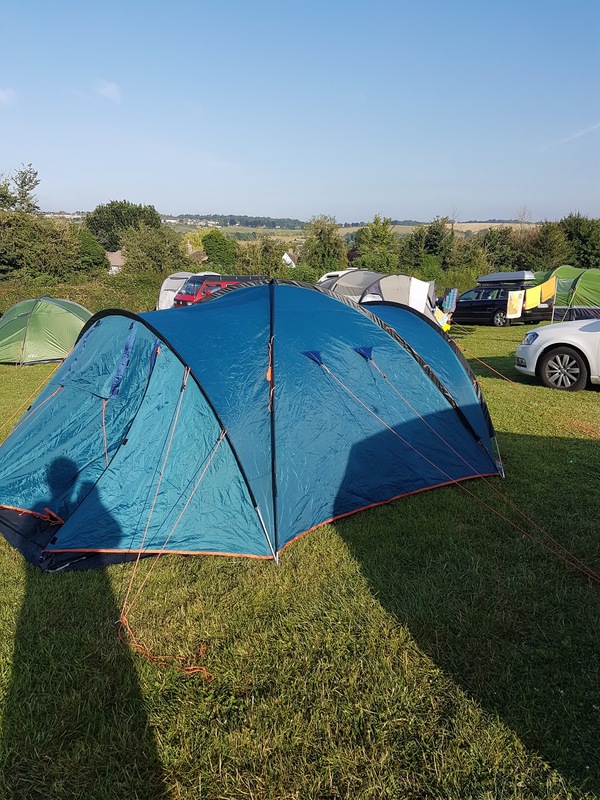 Once we arrived at the campsite the tent was erected in our pitch which was a lot bigger then I thought it would be. With the car parked next to the tent, we went for a walk down a path that took us to Salisbury town. The path ran past a housing estate and near a field where there's a river running around the edges and a play area in which the smaller kids were playing in. The walk took a total of 25 minutes and was along flat terrain and paths so it made quite a nice little stroll. The shops near the play area were Morrisons, sports direct, Smyths toy store and a few other shops. After buying some bread rolls we headed back to the river where children were swimming and playing, so I let TJ paddle in the river to cool down for a few minutes before scooting his way back up to the campsite. 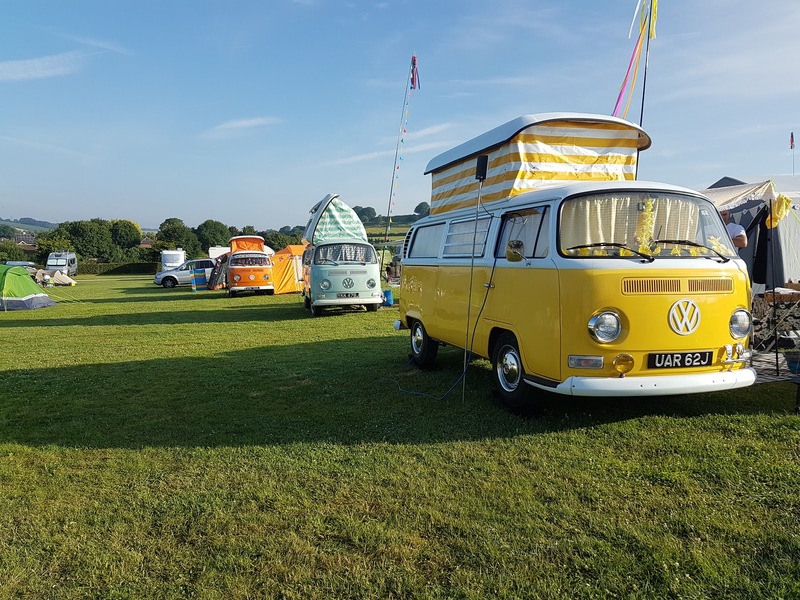 When we arrived back at the campsite there was 3 x color coordinated VW campers. 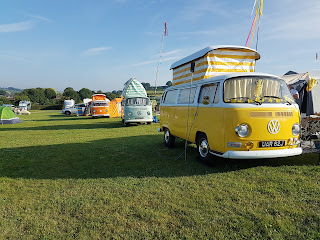 Seeing the different tents and camper vans was amazing. and the mini community that is built once you pitch your tent. There was two different bathroom blocks with one having washing facilities. These blocks were immaculate and with an entry code which was easy to remember to be used after 5pm it helped keep the campers happy. There was 4 shower cubicles, 6 toilet cubicles. and 6 sinks in one shower block. When we started cooking on the BBQ we were asked to use a few bricks underneath to stop the grass from being burnt which I could understand why as the grass was kept very nice. The only downside about this campsite was the noise after the sun went down although the other neighbors didn't seem to mind to much. When the sun came up we were up and ready packing the tent and heading out before 8am. Thunderbirds are go, go, go!